“Do it right the first time” That’s been founder Mike Saccoccia’s motto since he launched his business at age 13, mowing lawns and maintaining landscapes. When he got his license and could haul equipment behind his Camaro, business expanded into landscape installation. After college, business took off again to include landscape design, excavation and construction services. 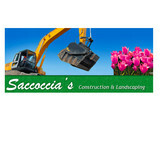 We’ve been making customers happy ever since with quality work and attention to detail Today, Saccoccia’s is a full service company offering the convenience of a single point of contact for an entire project from start to finish. We cater to each customers’ needs depending on the services their project requires. And, no project is too big or too small. You can rely on us to offer the same first-class service whether you need weekly lawn maintenance or an entire site developed. Proudly serving Rhode Island statewide in concrete paving and excavation! Moving Miss Daisy is SE Florida’s licensed senior moving broker. As a senior moving specialist with years of experience , we are trusted and have completed many senior living moves to senior living centers, senior assisted living centers and senior convalescent homes with complete satisfaction of our clients. So if your looking for a trusted senior moving service please give us a call to move your loved ones as uncomplicated as possible for senior moves. From installation to repair, Napeague, NY driveway contractors are responsible for a variety of planning, installation, construction and driveway maintenance services. Driveway materials. While most driveway contractors in Napeague, NY primarily work with asphalt, they are also experts on the wide range of available driveway materials. If you are looking for something different than a standard asphalt driveway, your pro can help you select driveway pavers or customize a brick driveway design. A driveway installation and maintenance professional may work closely with a Napeague, NY builder, landscape professional or various manufacturers and suppliers. 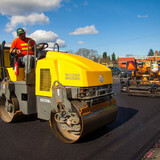 Find a Napeague, NY driveway installation and maintenance professional on Houzz. 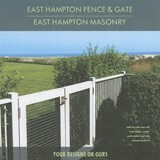 Narrow your search in the Professionals section of the website to Napeague, NY driveway installation and maintenance. You may also look through Napeague, NY photos to find examples of driveways that you like, then contact the professional or contractor who worked on them.